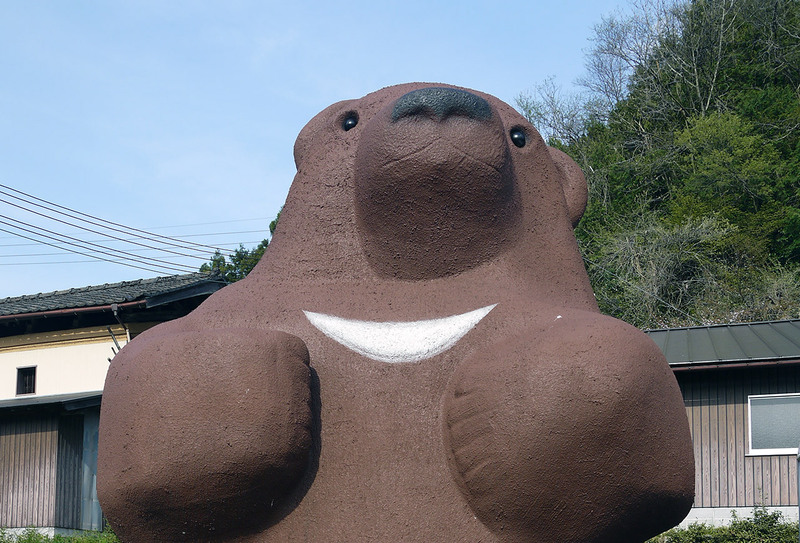 This monumental brown bear welcomes you to this place where a famous raw-egg-on-rice restaurant Tankuma 但熊（たんくま）, a direct sales shop (Tankuma's own personal farmer's market), and a cake shop called Tankuma Nibankan 但熊弐番館（たんくまにばんかん） all sit side by side. They are all owned by the same man, an egg connoisseur, who specializes in delicious eggs mixed with choice rice. 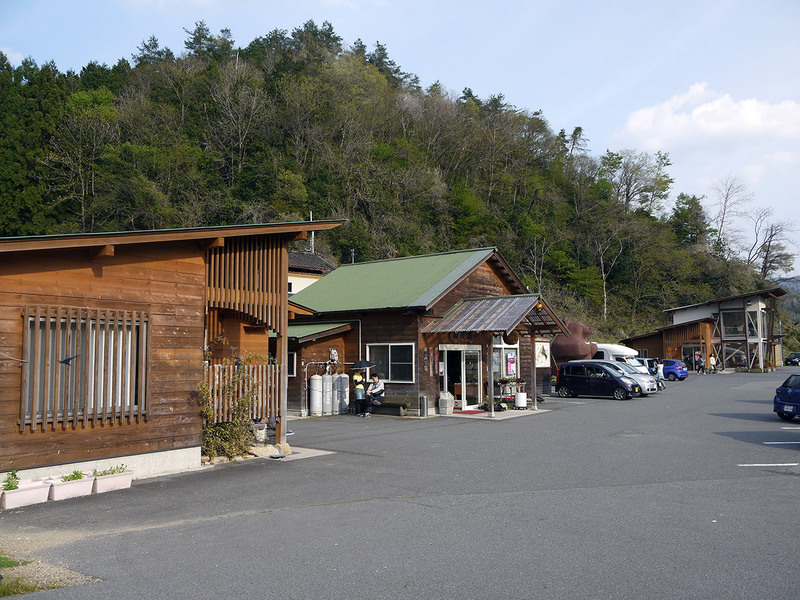 In the picture above, the lodge on the left is the restaurant, the middle lodge is the direct sales shop, and the lodge the furthest away is the cake shop. Can you find the cute bear? 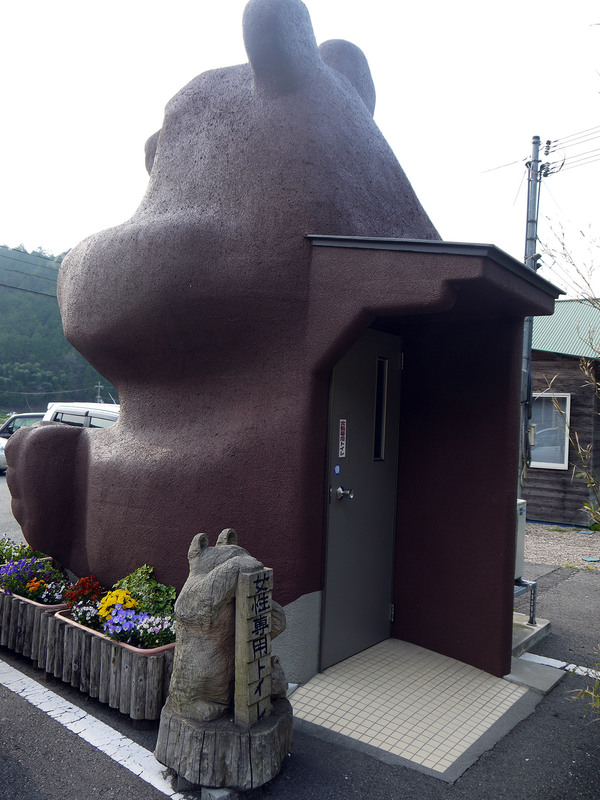 Surprisingly, the bear is actually a toilet. Unfortunately for men, this bear only allows women to see inside of him. 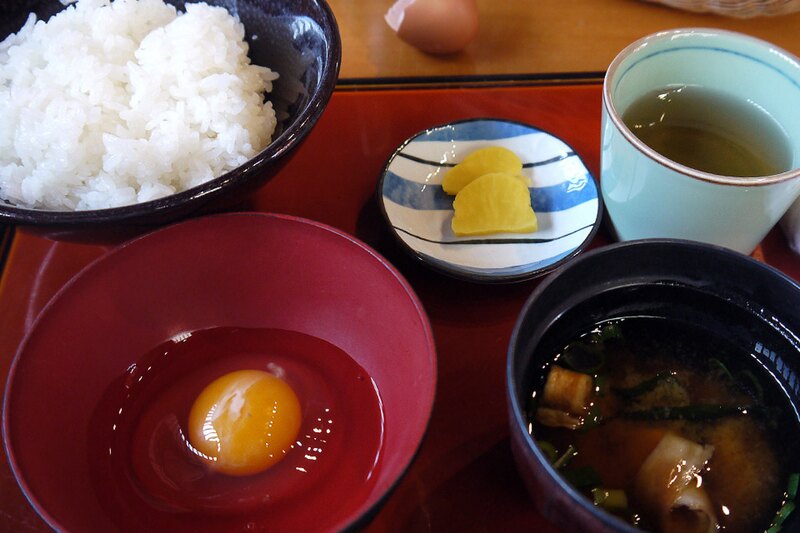 In the restaurant, they only serve one dish: Tamago-kake-gohan, which is raw eggs on rice. This doesn't seem like something that people would line up for, but they do — at least here! Believe it or not, I originally came here at 1pm but decided to leave because there were so many people in line. When I came back at 4pm, with the hope that I wouldn't need to wait, there it was again. Luckily for me it was shorter than earlier, so I stood in line to try what everyone else was waiting for. After you place your order you are asked to wait with your receipt and a number. 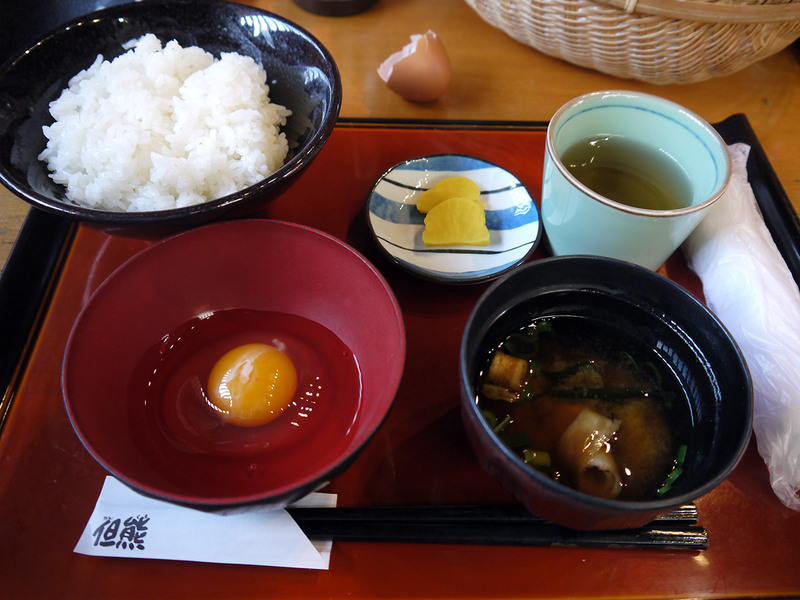 I ordered an average sized raw-egg-on-rice dish, which was 360 yen. 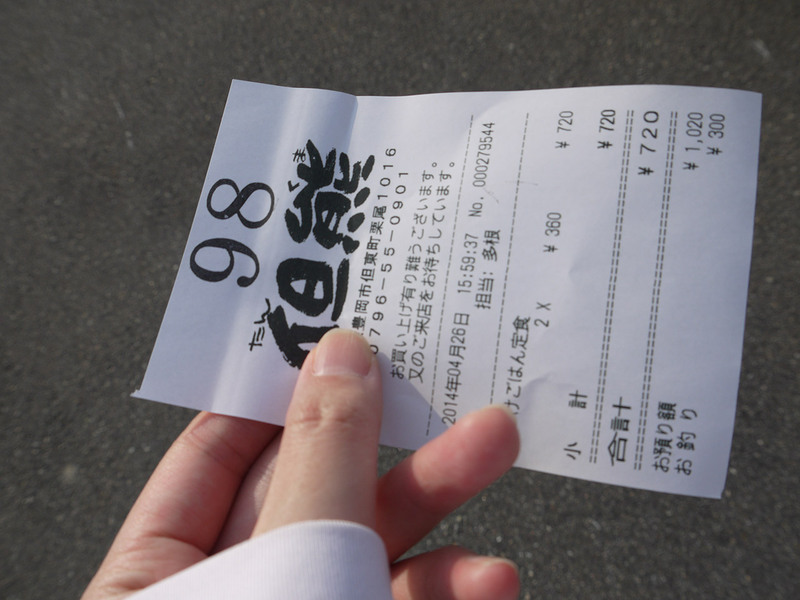 The large is 460 yen and rice refills are 160 yen (you can eat as many eggs as you want). 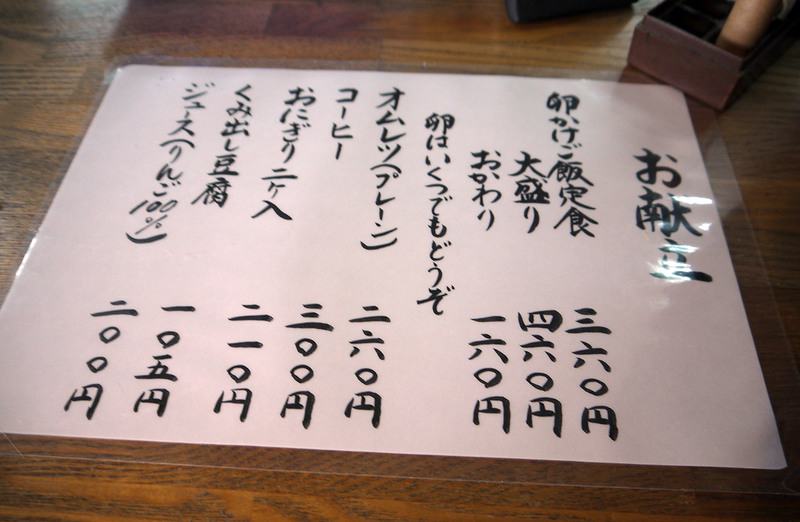 They also sell plain omelets for 260 yen, 2 rice balls (onigiri) for 210 yen, kumidashi-tofu for 105 yen, coffee for 300 yen and 100% apple juice for 200 yen. When I placed my order, I was told it would be about an hour wait. I was hungry, but excited to see how tasty it would be. Although some people are in the line, you don't need to worry about being bumped back or cut because you have your number and receipt already. Having the number allowed me to walk around and look at other things while awaiting my turn, so that was really nice. 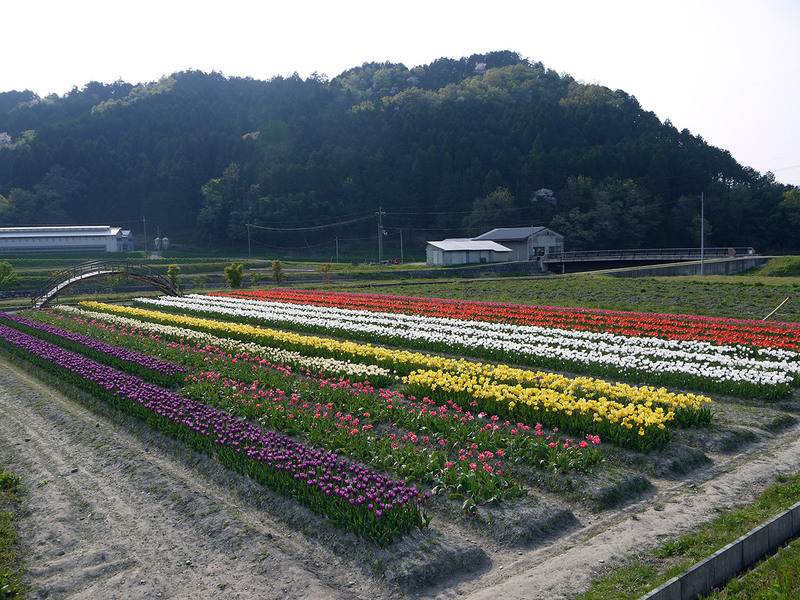 Sadly, the beautiful tulip garden is only seasonal, but when I visited I was lucky to enjoy its beauty. To kill more time, you could always walk over to the unique egg vending machine, though I'm more prone to recommend going to the farmer's market or cake shop. 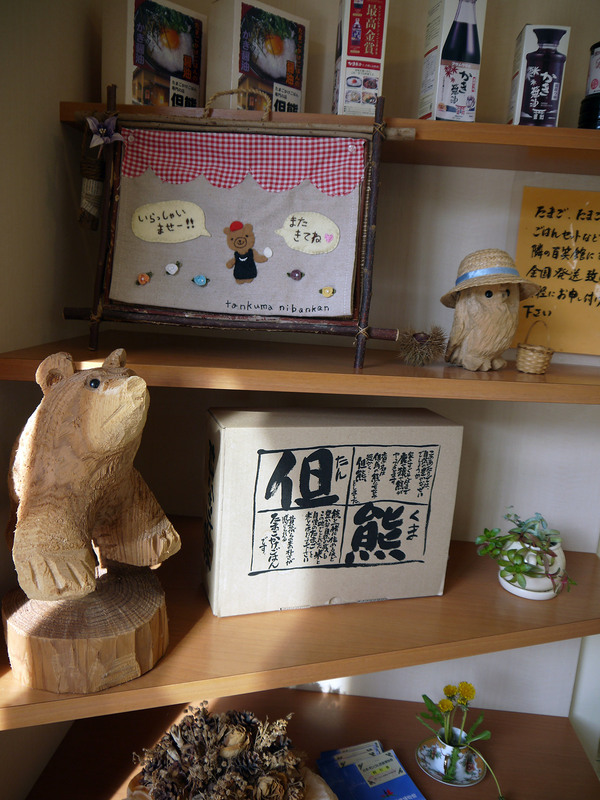 At the cake shop, two wooden bears welcome you, along with even more bears wherever you turn. Some of the bears have the innocent "cute-puppy-face" down to an art. This one is always practicing it. Aww. Because of those adorable faces, I bought a slice of cheese cake, a roll cake, and some cream puffs. All had a very distinctive (and yummy) egg flavor. My favorite, however, was the roll cake. It was mild, light, fluffy, and not too sweet. I really want to go back and eat it again. 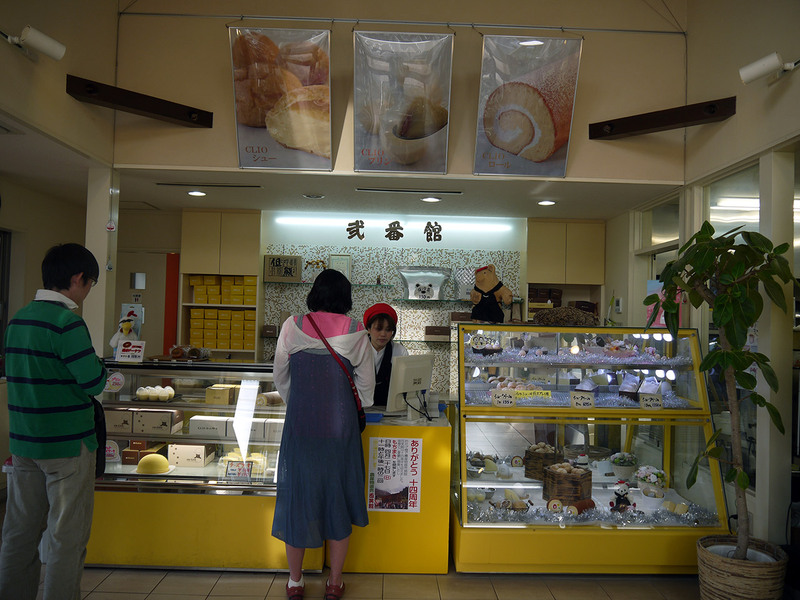 I also want to try their pudding as well as the other great things they had for sale. Only so much room in my tummy, though, and the tamago-kake-gohan was still to be had once my number was called. 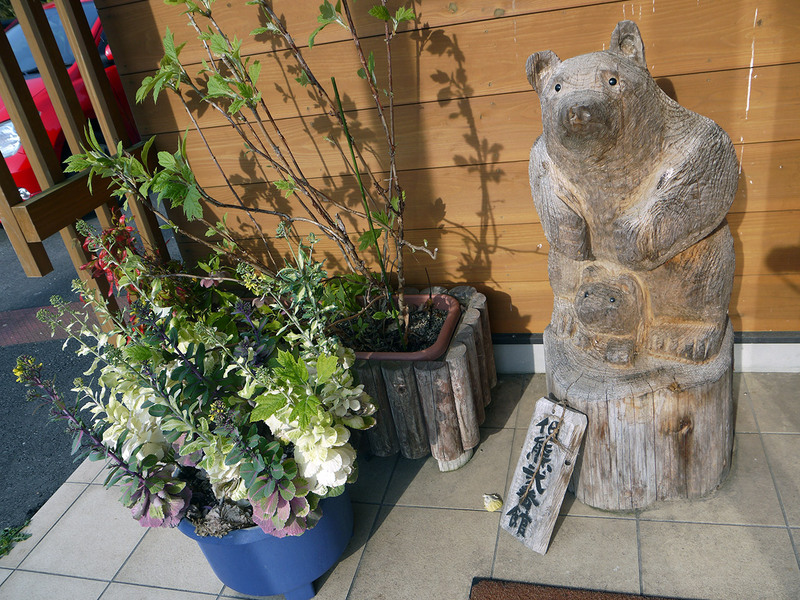 There is seating on the second floor and outside on the patio, where, of course, there are a lot of bear statues. I continued to explore the farm stand, but my number was called (15-20 minutes early, hurray!). 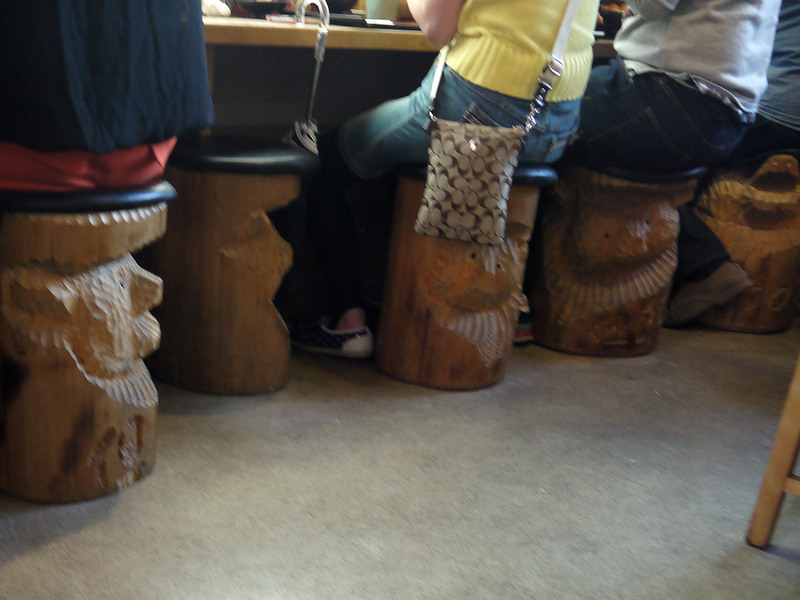 I was starving so I went back to the restaurant and sat in my chair (all the chairs were carved bears, of course). It's an incredibly simple meal, right? But it sure was tasty. All it is is raw egg on rice, but the rice is so sweet and the egg is super fresh and mild. Look at the yolk and how orange-yellow it is! Also, if you look really closely, you can see that there are two layers in the egg white. The fresher the egg is, the bigger the inside layer will be. It's a great way to measure the freshness of eggs (and these eggs sure were fresh!). To go along with my meal, there were three kinds of shouyu (soy sauce), so to try them all I ended up eating three eggs. My favorite soy sauce was the oyster soy sauce. Sounds good, right? You can top it off with as much diced green onion, dried nori seaweed, and shichimi spice as you like. I hope that one day you too can experience the joy that is raw eggs on rice, especially if it's this fresh. It's going to be hard to go back to the regular stuff after trying this! 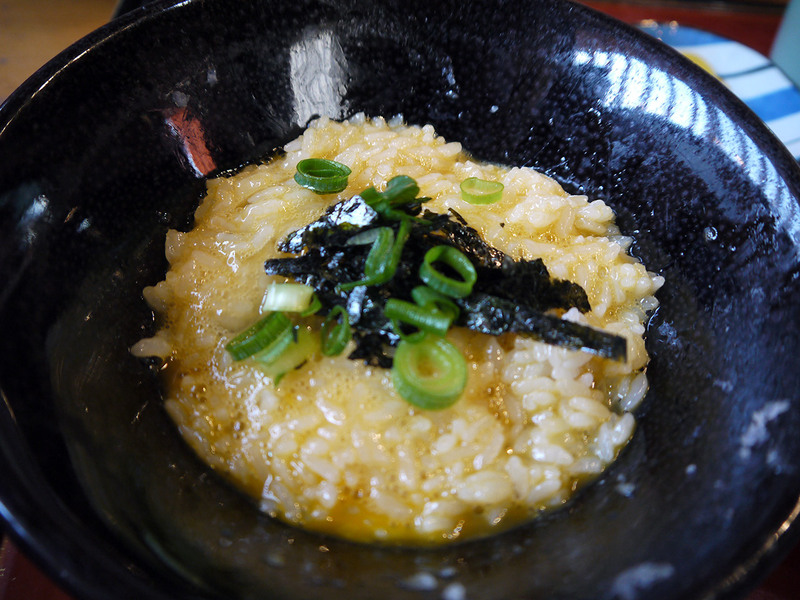 Their raw egg on rice was one of the best raw egg on rice I’ve ever had. 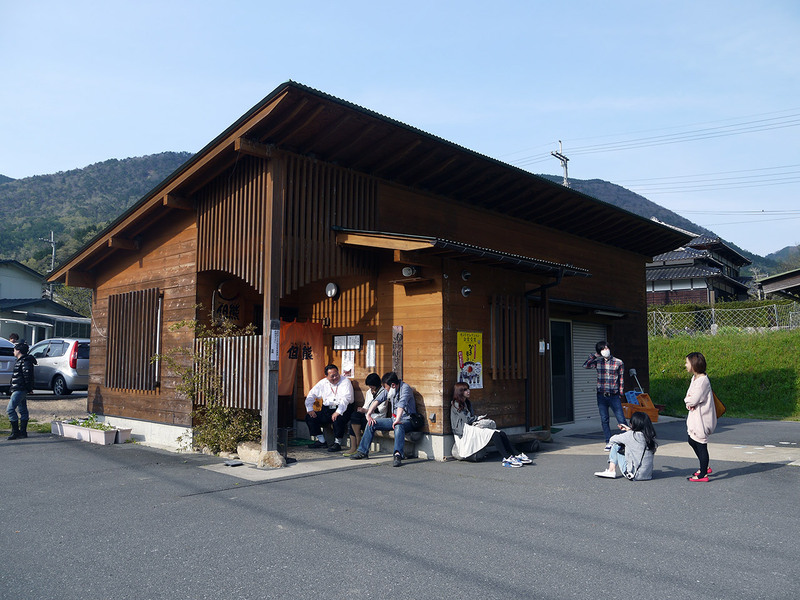 It’s in the middle of nowhere, but if you love raw egg on rice and want to eat the ultimate one, you have to come here.